We have developed a range of application specific products suited to industries with very specialised needs. Specialty films, laminates and foils are easily laminated to bubble and foam with our range of conversion machinery. Metalised Poly offers a high radiant barrier. Being so flexible it is fast and easy to wrap and secure goods. Metalised Poly (Metpoly) can be converted into easy to use bags or convenient slit and perforated rolls. 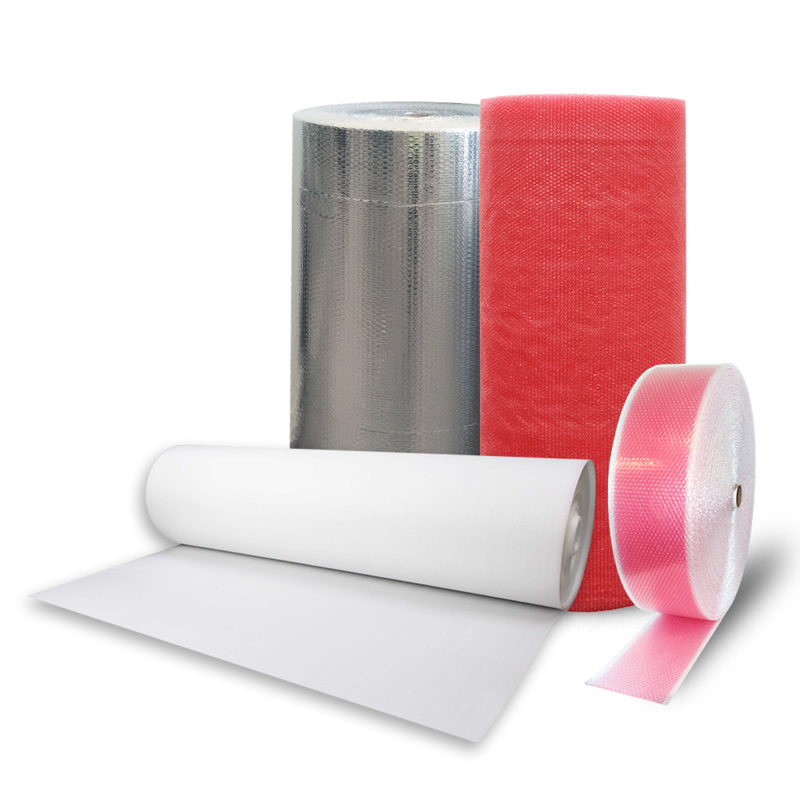 When Anti-Static protective packaging is required it is essential the user is able to rely on the product performing as required. Sancell Anti-Static bubble products contain a proprietary master batch which ensures static is eliminated and does not compromise the product it is protecting. The triple-layer design of PW PRO flooring protection marries the softness of foam, bubble cushioning and the strength of polyethylene woven film. This makes it strong, flexible, easy to use and versatile enough for use on large and small building sites.